Some call them Prisms. They are witches made up of light and colors that at times can’t even be seen with the naked eye. Mimicry. Their ability to create the same combination of hues repeated over and over again is fascinating and breathtaking. These witches morph and mold; uniting alongside their sisters, their twins and their mothers within their chaotic multiplication. Growing, breathing, being. They are carbon copies of one another, yet unique to their own coven, their own design. They are the epitome of geometry. Capable of duplicity and being duplicitous. They are hypnotizing, haunting, and seemingly intangible. That’s what these witches do. They are blinding and bright All of them too well versed in proliferation and imitation; creation and destruction. All while somehow managing to never truly exist. The Prismatics. 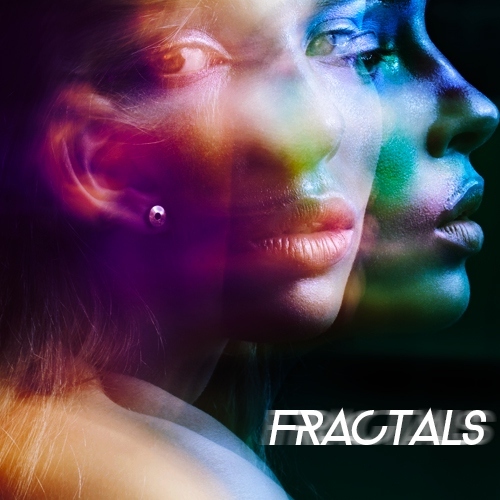 Welcome to Fractals. A playlist created for those witches who are almost ethereal. We did our best to bring you music that reflects this concept. Songs that tinkle and float. Some with melodies that divide then regress and others that make it thinkable that you can see light through music. These electro-pop songs have facets. Some haunting, some beautiful, some both. Be sure to check out Expectations by Hayley Kiyoko and Clouds by Pastel Ghost. For the witches hidden within the folds of light and their own identical creations. The ones with transparent fingertips and luminescent curls that leave rainbows in their wake. They reflect and refract; their magic the only thing less tangible than they are. For those that are hypnotic in their creations; entrancing in the way only never-ending patterns can be. For the ones capable of extracting color from the whitest of light. For the prismatic witch.